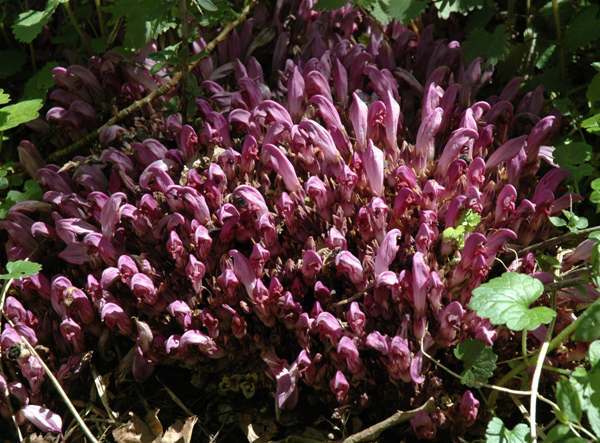 Although formerly considered to be a member of the figwort family, Scrophulariaceae, Purple Toothwort is now generally placed within the broomrape family Orobanchaceae; broomrapes are also parasitic plants. This quite rare but very distinctive perennial plant is parastitic on the roots of willow trees and sometimes on alder and poplar trees, too. It has no leaves, and the two-lipped flowers appear on very short leafless stems. This plant favours shady damp places, often beside tree-lined streams. 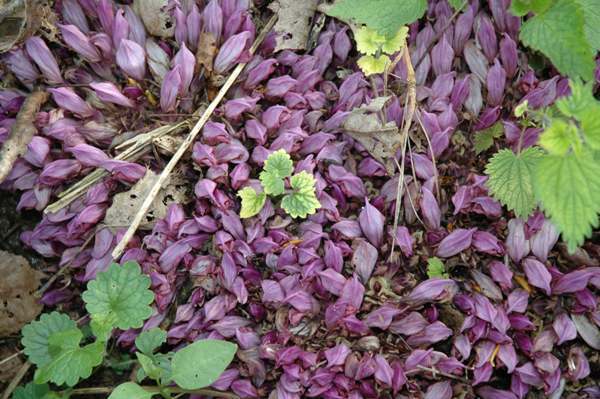 In Britain you are most likely to find Purple Toothwort in the chalk-stream meadows of southern England, but this particular plant was photographed beside the River Ribble in Cumbria, where it is much rarer. 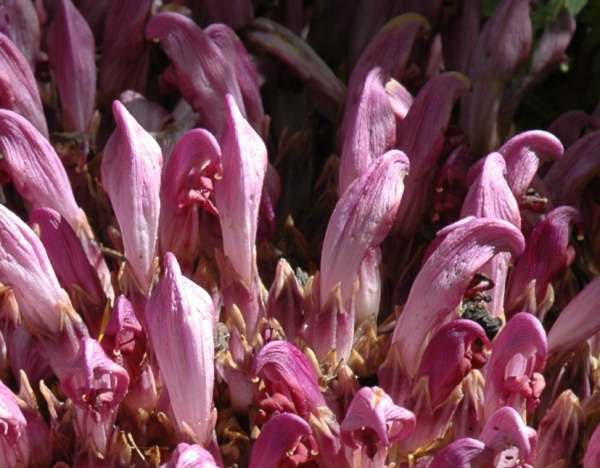 The generic name Lathraea comes from the Greek word lathraios and means hidden - a reference to the underground parasitic nature of this plant. This page includes pictures kindly contributed by Martin James.